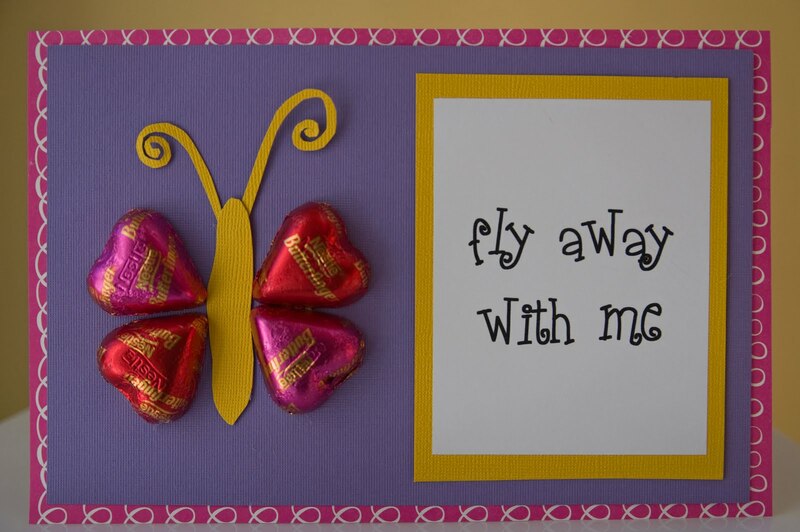 I finally decided to start constructing Valentine's Day cards for the annual card exchange extravaganza at my son's school. But halfway through the construction process I had to stop and remind myself why I didn't make my life easier by just purchasing cards. 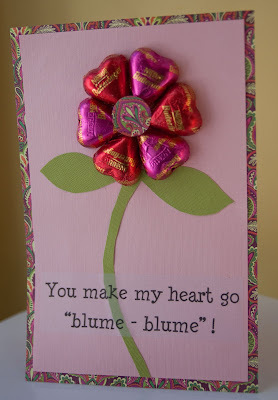 And the answer is simple: I'm a crafter - this is what I do. After a brief consultation with my client, it became pretty clear that he could care less what the card looked like as long as it wasn't too "girly" and there was candy on it. 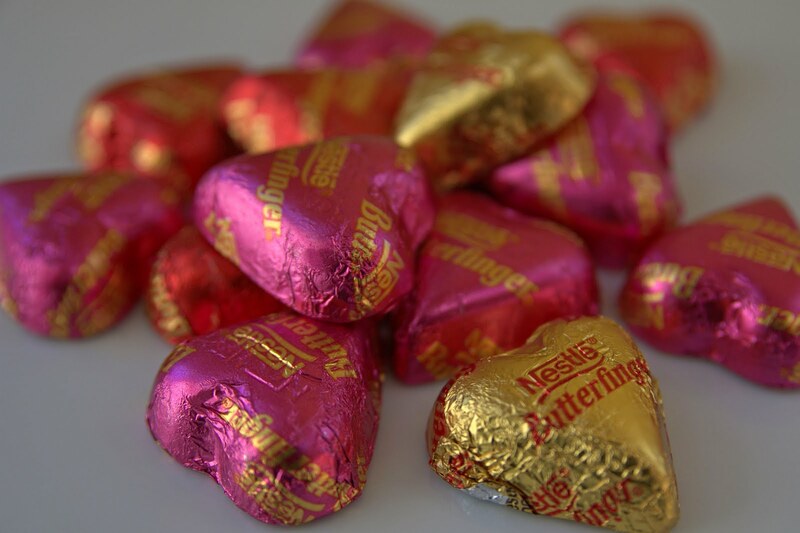 So I decided to let the candy be my inspiration for this card - Butterfinger Hearts. Okay I'm going to admit that I did not put much thought into this design because, let's face it, the candy is going to trump even the most elaborate card out there. Both of my boys love dinosaurs, so I thought that would be a safe bet. 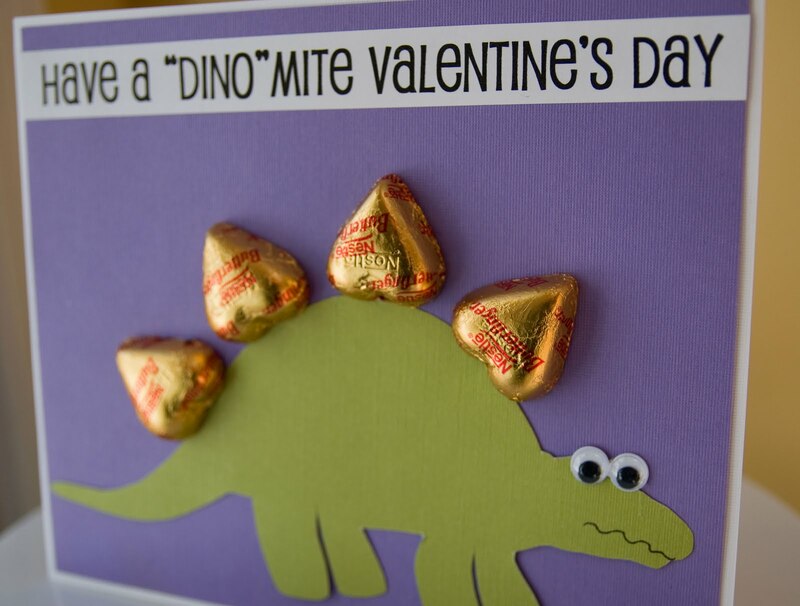 The heart-shaped candy was what led me to make it a Stegosaurus. This card was super easy to make - just cut out a dinosaur shape, add googly eyes, a mouth and then attach the chocolate candy using adhesive dots. I saw a blog post where they attached candy onto a card using a low-temperature glue gun, so that's an option as well. 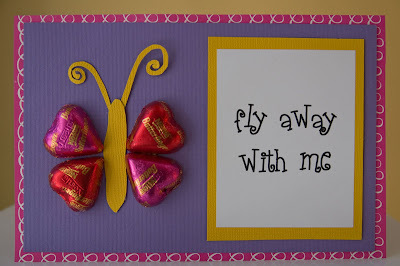 I'm working on one more idea for a do-it-yourself Valentine's Day card that I hope to finish before the big day...stay tuned! Where did you find the dinosaur? Is there any way you could post a pattern for the dinosaur? It is so great. I'm not artsy enough to just cut it out like you say...LOL! You can email it to me if you'd like. I would love to make these with my son's class at his party. Thanks so much for posting a template!!! 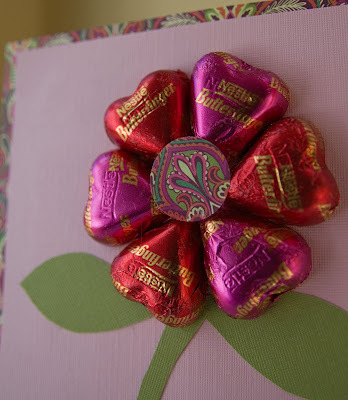 It helped me out so much and my 5 year old is so excited to make them! The link to the template doesn't work anymore .. would you please repost.. Thanks!